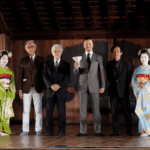 If you’ve thought about attending the annual Kyoto International Film Festival, but are wondering whether it’s worth it, here’s a quick look back at our highlights from this year’s event, which took place from October 11 to 14. Aside from being a weekend full of fine films, there’s also always plenty of food and delightful scenic locations to explore in Japan’s former capital, making this an opportunity not only to catch up with the latest movies, actors and filmmakers in Japan, but also to turn the event into a mini getaway. 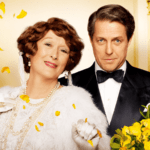 There were a number of fascinating films showing at the festival including David Batty’s excellent documentary My Generation about British youth culture in the 1960s, and the 3D Chinese operatic flick Cao Cao and Yang Xiu. The standout film of the weekend, though, was Love’s Twisting Path, the first movie in around 20 years directed by esteemed filmmaker Sadao Nakajima. A packed crowd was in attendance at the Yoshimoto Gion Kagetsu Theater to watch the period drama starring popular actor Kengo Kora (pictured above and below) as the penniless samurai Tajuro Kiyokawa who is forced to defend himself against factions loyal to the shogun. 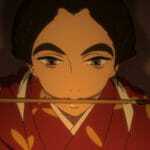 It all leads to a magnificent climactic battle in a bamboo forest. 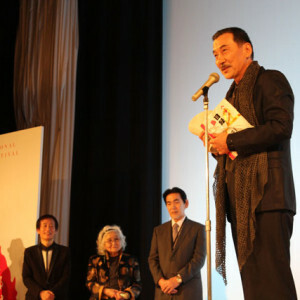 This year’s Toshiro Mifune Award, named after one of the greatest actors in the history of cinema, went to Koichi Sato, who has appeared in over 60 feature films as well as numerous TV shows. The Shozo Makino Award, established in 1958 to honor the man known as “the father of Japanese filmmaking” was won by Yasuo Furuhata, a highly respected director most well-known for his collaborations with Ken Takakura in movies such as Poppoya and Station. The “Most Respect” prize went to opera singers and Chinese national treasures Shang Changrong and Yan Xingpeng for their performances in Cao Cao and Yang Xiu. Dining at the 160-year-old ryokan Kyoto Hachi is always one of the highlights of the festival in Kyoto. 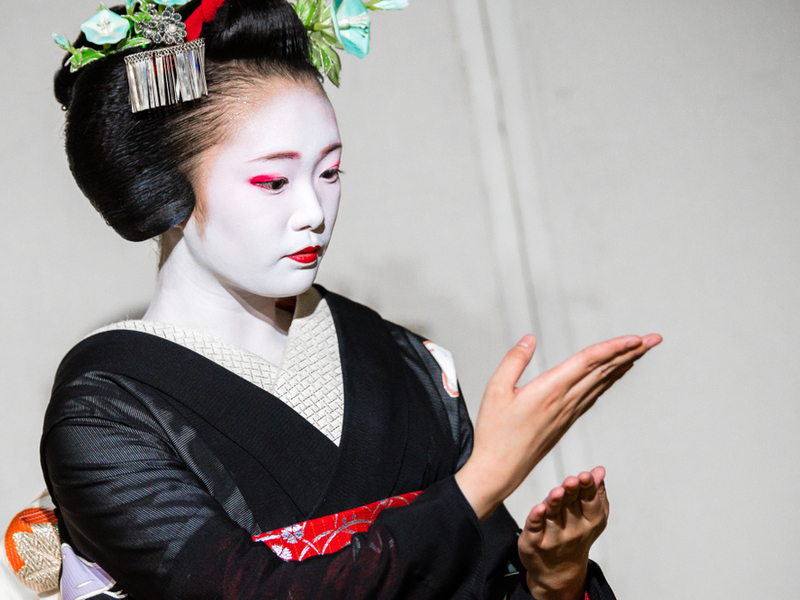 This year, we spent several hours sipping Champagne and eating a truly magnificent kaiseki course dinner in the company of two maiko (apprentice geisha in Kyoto and western Japan). The female entertainers, who are shrouded in mystery and misconception, sat down with us and spoke a little bit about their daily lives. The food, which had a Halloween theme, was all divine including the freshest sashimi and the most succulent beef. Another fantastic experience over the weekend was a tea ceremony at the Saka Maruyama Teahouse in Maruyama Park. Hidden away just behind Yasaka Shrine, we were able to try some matcha (made from powdered green tea) and sencha (made from full tea leaves). The Philosopher’s Path (Tetsugaku no Michi) in Kyoto’s Higashiyama district made for a pleasant morning stroll on what was a warm autumn day. The path was given its name because Kitaro Nishida, one of Japan’s most prominent philosophers, used to meditate there while walking towards Kyoto University. Our exploration of the area began at Ginkakuji (Silver Pavilion), the Golden Pavilion’s less famous, though in the eyes of many, more charming younger brother. We then headed south towards Nanzenji, one of the most important Zen temples in all of Japan. There were a number of delightful sites along the way, none more so than the idyllic Eikando Temple garden. The best time to visit is said to be the second half of November when the autumn foliage is at its most radiant and the garden is illuminated in the evenings. 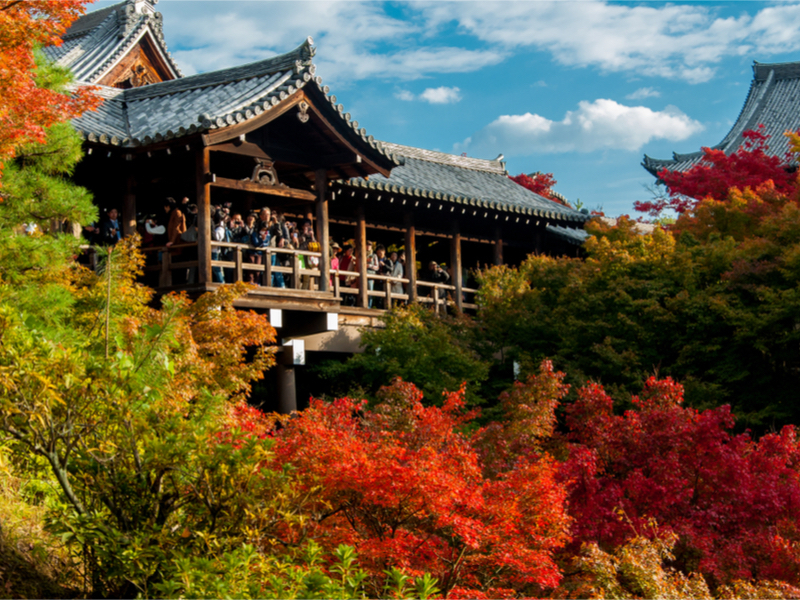 Another temple known for its breathtaking autumn colors is Tofukuji Temple. 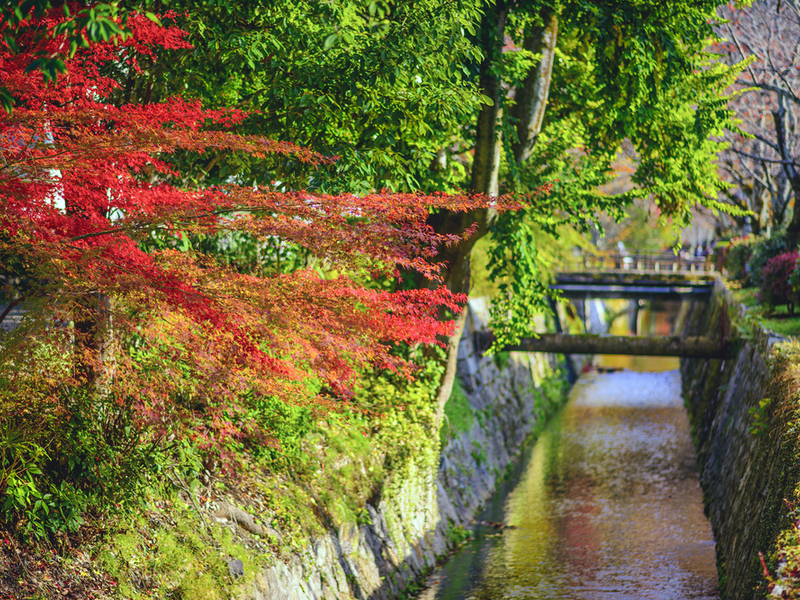 The best view comes from the 100-meter long Tsutenkyo Bridge overlooking a deep ravine of maple trees. We also had a chance to see Mirei Shigemori’s masterful gardens built alongside the head priest’s former living quarters. To the south is a traditional Zen garden with a sea of raked sand and rocks, on the east side you can see cylindrical standing stones, while the north and west sides are characterized by their checkered patterns.